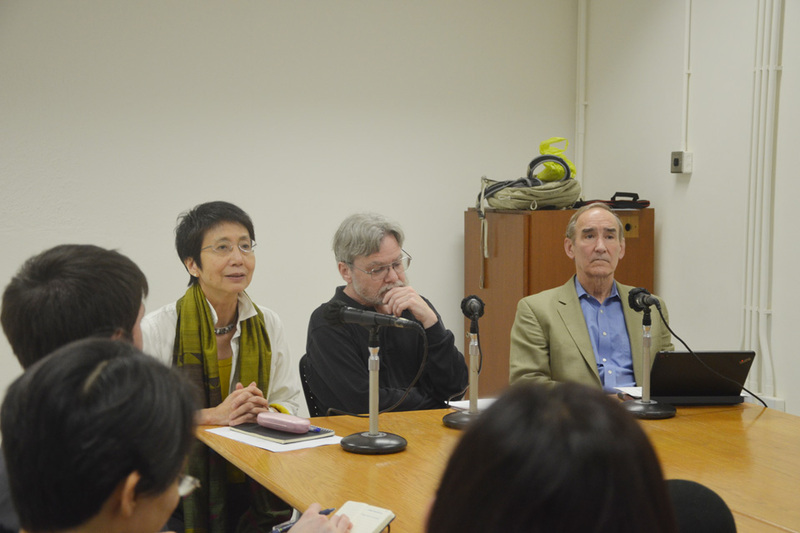 HKIHSS | Anthropology in, of, and by East Asia: Moving to the Center in the 21st Century? 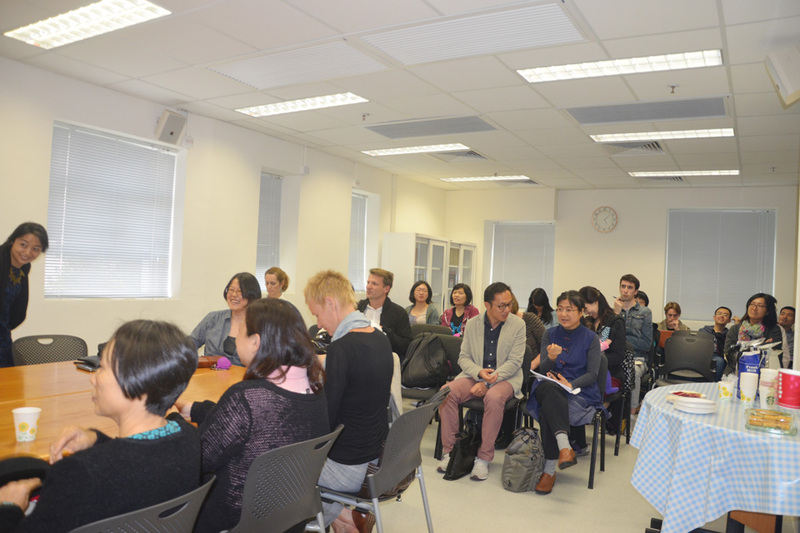 Anthropology in, of, and by East Asia: Moving to the Center in the 21st Century? 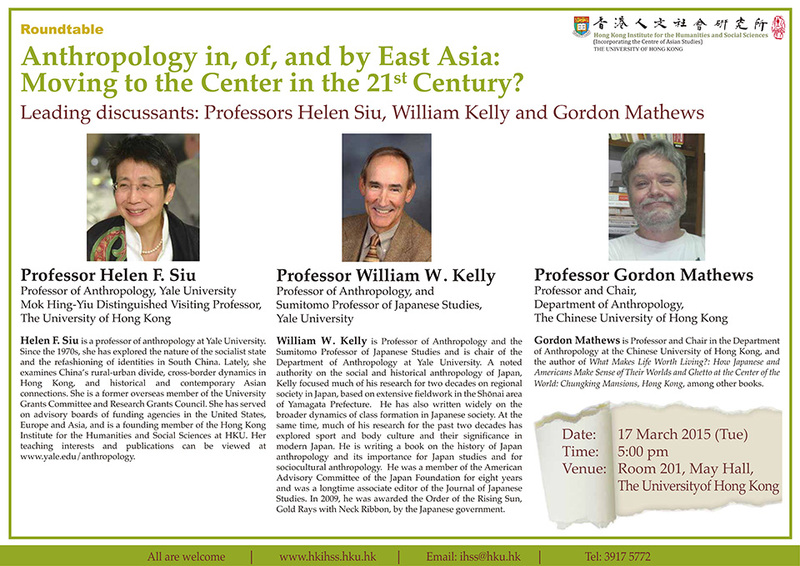 Asia/Hong_KongAnthropology in, of, and by East Asia: Moving to the Center in the 21st Century? Helen F. Siu is a professor of anthropology at Yale University. Since the 1970s, she has explored the nature of the socialist state and the refashioning of identities in South China. Lately, she examines China’s rural-urban divide, cross-border dynamics in Hong Kong, and historical and contemporary Asian connections. She is a former overseas member of the University Grants Committee and Research Grants Council. 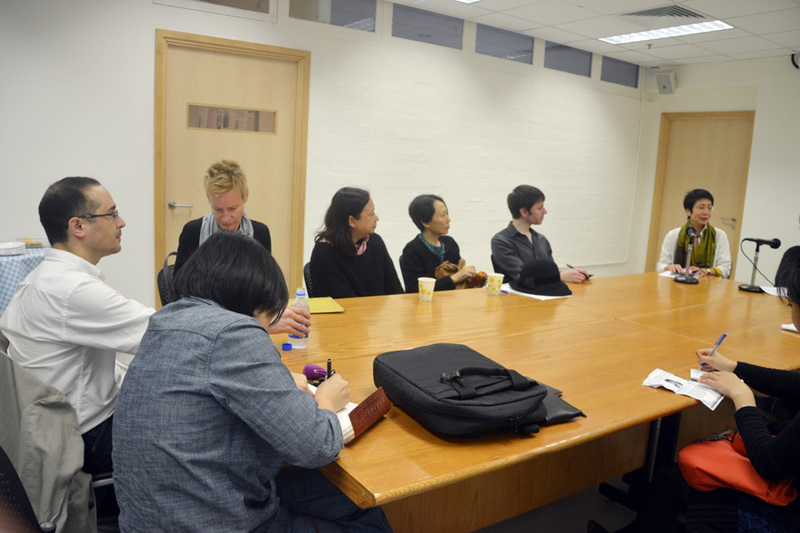 She has served on advisory boards of funding agencies in the United States, Europe and Asia, and is a founding member of the Hong Kong Institute for the Humanities and Social Sciences at HKU. Her teaching interests and publications can be viewed at www.yale.edu/anthropology. William W. Kelly is Professor of Anthropology and the Sumitomo Professor of Japanese Studies and is chair of the Department of Anthropology at Yale University. A noted authority on the social and historical anthropology of Japan, Kelly focused much of his research for two decades on regional society in Japan, based on extensive fieldwork in the Shōnai area of Yamagata Prefecture. He has also written widely on the broader dynamics of class formation in Japanese society. At the same time, much of his research for the past two decades has explored sport and body culture and their significance in modern Japan. He is writing a book on the history of Japan anthropology and its importance for Japan studies and for sociocultural anthropology. 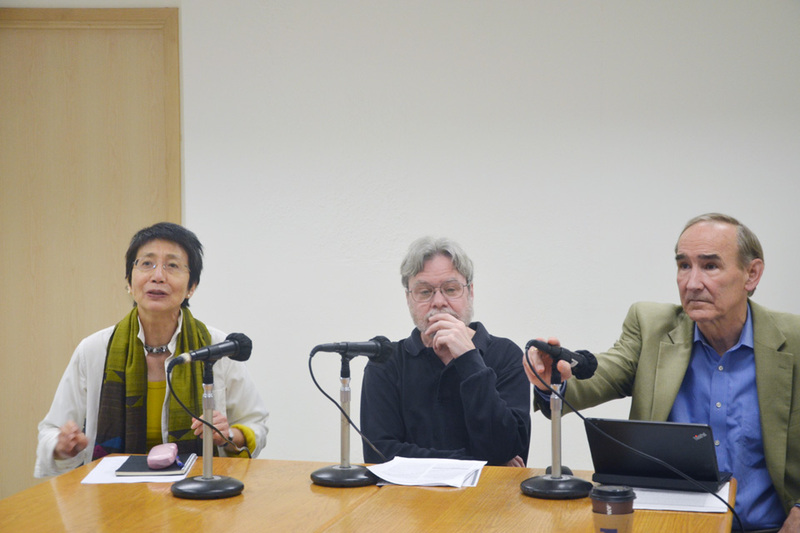 He was a member of the American Advisory Committee of the Japan Foundation for eight years and was a longtime associate editor of the Journal of Japanese Studies. In 2009, he was awarded the Order of the Rising Sun, Gold Rays with Neck Ribbon, by the Japanese government. Gordon Mathews is Professor and Chair in the Department of Anthropology at the Chinese University of Hong Kong, and the author of What Makes Life Worth Living? : How Japanese and Americans Make Sense of Their Worlds and Ghetto at the Center of the World: Chungking Mansions, Hong Kong, among other books.